Here at Cycling Weekly we test a huge amount of cycling products. Here is our selection of this year's best. Some of the products in the list are not new, but are such well designed items that they continue to be the best in their respective product class. The products described are items that have really stood out to us and that we would highly recommend. To read a more detailed review of each product, simply click on the appropriate title. With the pros’ shoes usually costing upward of £250, if you want to ride in pro-level kit, they are an expensive purchase. But not all pros are riding in super-expensive shoes. Enter Jean-Christophe Peraud of AG2R La Mondiale, who’s shoe of choice is the B’Twin 700. Having put them to long term use, we can see why and at £80 the value is brilliant. Retailing at £500 the Mavic Ksyrium Elite wheelset is popular contender when riders are looking to upgrade the stock wheels their bike came with. For 2015 Mavic has taken one of the best upgrade wheels on the market and made it even better. The rim is now wider, with an internal width of 17mm, allowing the tyres to sit wider, improving grip. The bearings are now Mavic’s QRM+, which are same as found in the top of the range Cosmic Carbone Ultmiate wheels. The Oakley Radar is not just an iconic design that looks cool. It is incredibly functional and it is this combination of looks and performance that has resulted in it being the most popular eyewear in the pro peloton. The Oakley Radar EV – lots of colours available! The fit is excellent and is best described as zero distraction. By this we mean that it is easy to forget you are wearing them, such is comfort and ergonomics. The lenses are superb too. With the polarized options costing £175 and Prizm lenses £145. The Gabba is designed for riding in foul weather. It is not totally water proof, but keeps you warm and has excellent breathability. The Windstopper fabric posses an excellent degree of stretch, meaning that most people can achieve a very good fit with the correct size. Despite testing many other rival garments, we are yet to find something that is able to marry the attributes of breathability, water repellency, stretch, fit and wind stopping ability. Here at Cycling Weekly we are often asked what we think the best groupset is. It would be easy to reply with SRAM Red, Dura Ace or Super Record, but that would be ignoring value. At twice the price of Ultegra, Dura Ace certainly doesn’t offer twice the performance and is definitely not half the weight! The quality of shifting is superb. It’s light, reliable and well priced, with performance that can match Dura Ace. 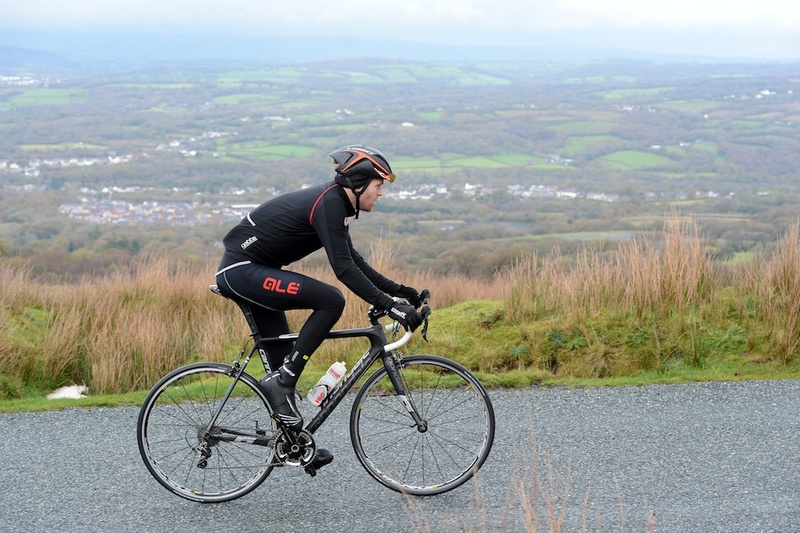 A comfortable pair of bib shorts is an essential piece of kit. Despite retailing for £100 the Endura FS260 shorts offer performance and quality which is equal to and in some cases superior to bibs costing twice the price. There is even an option for different sized chamois and two leg lengths, to ensure you get a perfect fit. Having tested their comfort on several rides over 100 miles, we love these shorts. The Endura FS260 Pro SL bib shorts have been the best on test in both our Cycling Active and Cycling Weekly grouptests. Many manufacturers are pushing tubeless tyres at the moment and for good reason. The reduced risk of punctures is massive advantage and something that is ideal for winter use. We tested the R3 long term and were highly impressed with the grip, rolling and puncture protection, when combined with sealant. We event tested them by hammering nails into the carcass. Impressively the tyres were able to seal these holes. To see them in action you can watch the video below. Crucially, we also found the Bontrager R3 comparatively easy to fit when used with Bontrager rims. Adorning the heads of Katusha, BMC and Team Wiggins, the aerodynamic Synthe has quickly become the go-to helmet for a number of pro teams, and we can understand why. Having worn it in 30ºC heat on climbs such as the Mortirolo Pass we can confirm that the ventilation is far superior to other aero lids. The combination of aerodynamics, low weight, good ventilation and comfort is something that we have seen few aero helmets achieve, with even fewer aero helmets managing to look cool too.